No clown costumes — and no costume that disguises a student's identity — will be allowed. Reports of creepy clowns have now surfaced in San Jose, with one school superintendent sending out a warning letter to students telling them to beware. East Side Union High Superintendent Chris Funk sent a letter on Wednesday saying the district has told police about the "newest threats made on social media." He did not elaborate, because he didn't want to embolden the perpetrators. But he did say that the "hoax" mentioned the clowns were "coming to get" students at two high schools in a Facebook post. Funk said three threats have been made at schools in the district. Because the pranks are coming so close to Halloween, he said the district is considering clamping down on what type of costumes will be allowed on campus. Certainly, Funk said, no clown costumes — and no costume that disguises a student's identity — will be allowed. Funk added that the district is on heightened alert and that no one should engage or respond to these clown threats, mostly made on Twitter. "You never know in his day and age," he said. San Jose police said they will investigate every case just to be safe. And that's good news for James Lick High School freshman Yosabeth who said shyly, "you don't know if they're going to be around you or not." Creepy clowns have been taking over the country since August in South Carolina. And in the Bay Area there have been threats - but no actual violence - aimed at schools in San Mateo, Fairfield, Oakland and Antioch since the beginning of October. Tweets from handles that are often deleted, make general threats, such as "I'm gonna get ya. Be ready." A woman in Concord said a clown on the street yanked her toddler's hand on Wednesday before she kicked his shin sending him to run away. 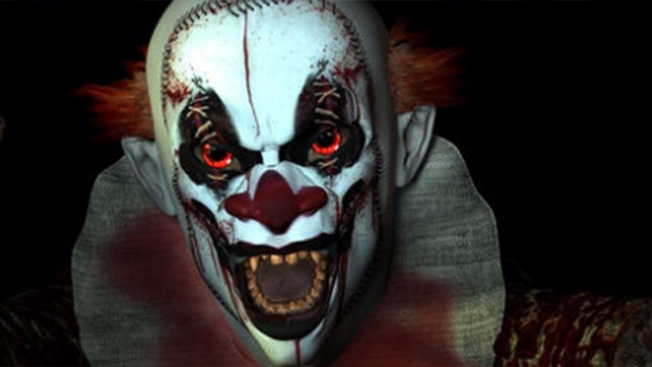 No one has been arrested in the Bay Area as of yet stemming from the clown threats. Police in other parts of the United States, however, have been putting clowns in cuffs. New Jersey has had five arrests in the past three days; in one case, teens were hanging out of a car window with clown masks on, and one was found with a marijuana and a knife. In Connecticut, three girls were arrested for allegedly threatening their schools on social media in two separate incidents. Media reports indicate this type of clown hysteria crops its head up every few years, and has been documented since 1981. NBC Bay Area's Damian Trujillo contributed to this report.